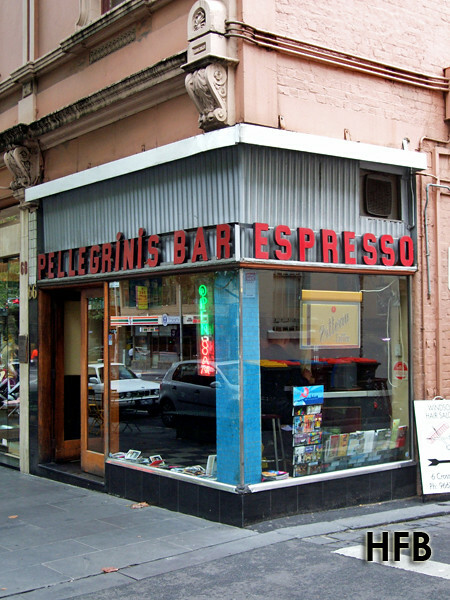 Sitting quietly towards the Parliament end of Bourke Street, Pellegrini’s Espresso Bar’s reputation is tantamount to that of a Melbourne institution – serving its faithful customers great coffee and unpretentious home-styled authentic Italian fare. 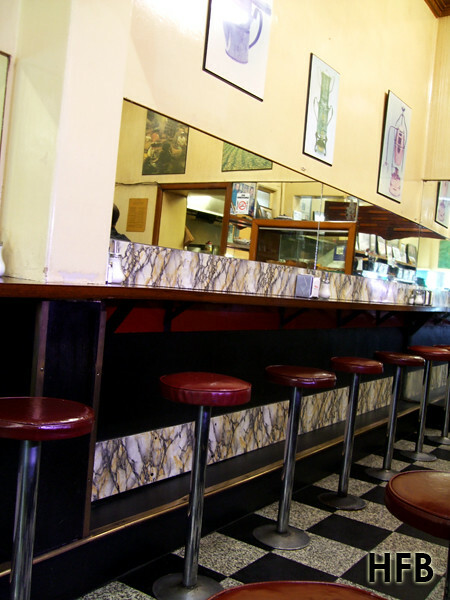 As HFB stepped into Pellegrini’s, it was as though he was transported back into the 60’s – a old-fashioned décor equipped with retro bar stools, completed with mirrored walls, old memorabilia and checkered floor tiles. How cool is that? 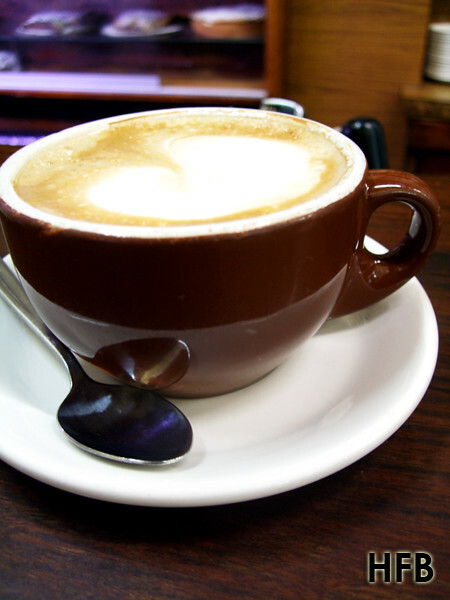 Eventually he settled himself at the main bar and ordered 2 cups of Latté and an Apple Crumble. Swiftly enough, the elderly ladies and the man behind the counter proceeded efficiently with the orders. It was as though time stood still when he took his first sip of coffee – it was nothing extraordinary to be honest, but the laid back, relaxing atmosphere made the whole experience seem like eternity, so much so that he could imagine himself having a cuppa everyday during tea-break hours if he was living or working nearby. 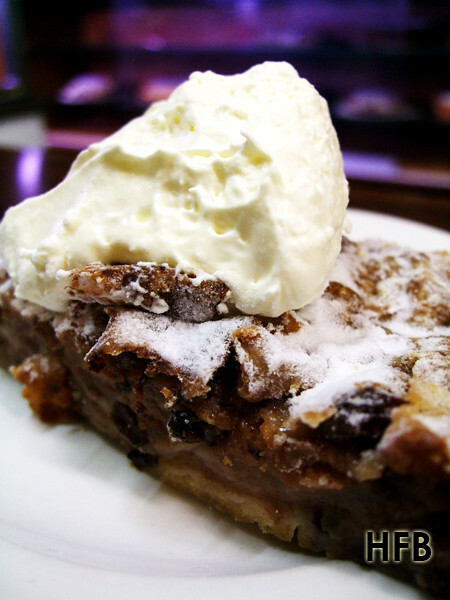 The crumble reminded one baked by a mum – nothing complicated, just straightforward, almost feeling the motherly love residing within it. Total bill came up to $12, but the experience was almost priceless. Place look cozy..good for tea. Oh my stars! Durnstar and I were at this resturant only two weeks ago - just before walking to the MCG to see the footy. It is exactly as you describe it - in a time warp. 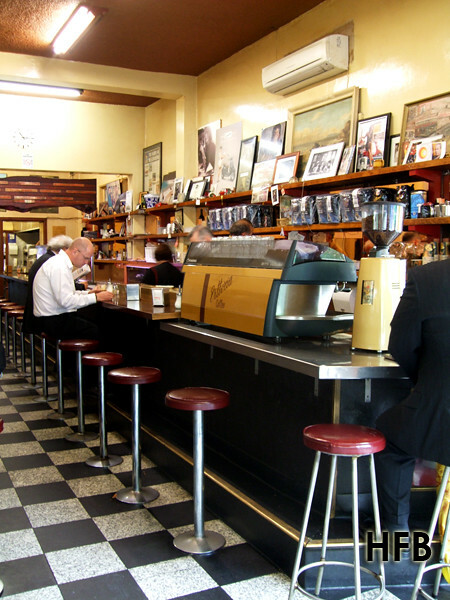 We were there for pasta and coffee and it was had to fault. @Steve: Really?!?! Haha.. what a coincidence. Totally fell in love with the place. just went this arvo! requested to go by "relatives" from s'pore who found this blog... lol, go figure even tho i live here..